"We need to erase the idea of a Palestinian state from people's minds and convince the world that Islam is a danger," said Michael Ben-Ari, a right-wing politician and settler. Following reports from Shin Bet, Israel's intelligence agency, fears about the resurgent Jewish terrorism emerged. News about the Palestinian plan to seek a UN recognition of their statehood in New York on Sept 20, have further exacerbated the situation and the Israeli authorities have finally recognised a relative spike in its own domestic terrorism. 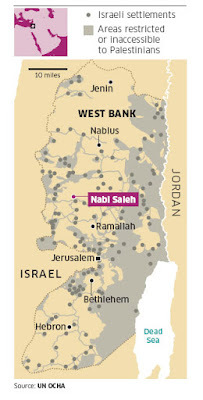 Although mostly aimed at the Palestinian population in the West Bank, the insurgency, called by some as the 'new Jewish underground', has recently added a new target - the Israeli army and the Israeli authorities themselves. The ultra-right-wing settlers have lately broken into an Israeli armed forces base in a typical 'price tag' attack that aims to 'punish' the authorities for an 'inadequate support' for the settlers. "Ideologically-motivated settlers, who believe they have a divine right to the West Bank, represent some of the most right-wing opinion in Israel. Though a majority of Israelis support a two-state solution, many settlers remain fiercely opposed to either a bi-national state or to Palestinian statehood, doubting that the two peoples could exist peacefully side by side." reads the latest article in The Independent. Although the openness of the Israelis about this significant increase of domestic insurgency, especially coming from its own Shin Bet, represents a bit of a blow of fresh air, more needs to be done to address the issues of the militant settlers movement. Israeli settlements in the West Bank are not only illegal in the face of the International Law, but also represent a continuous process of human rights abuse against the Palestinian population of this land.